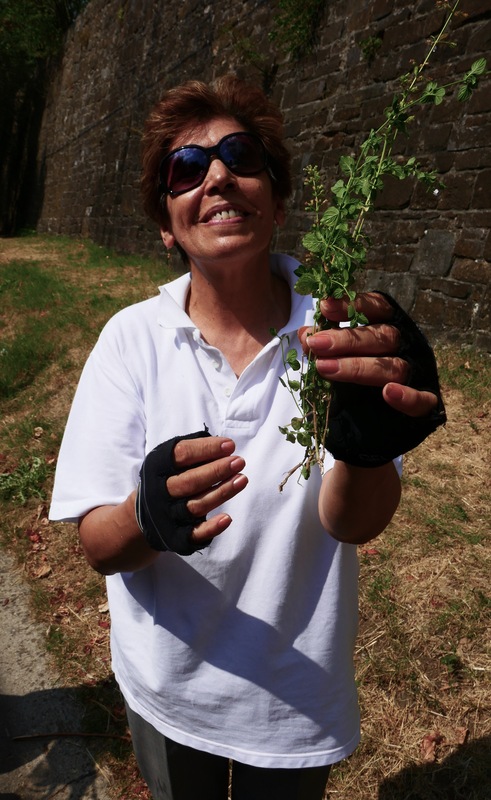 The woman picking ‘weeds’ on the side of the road was a sight for sore eyes. 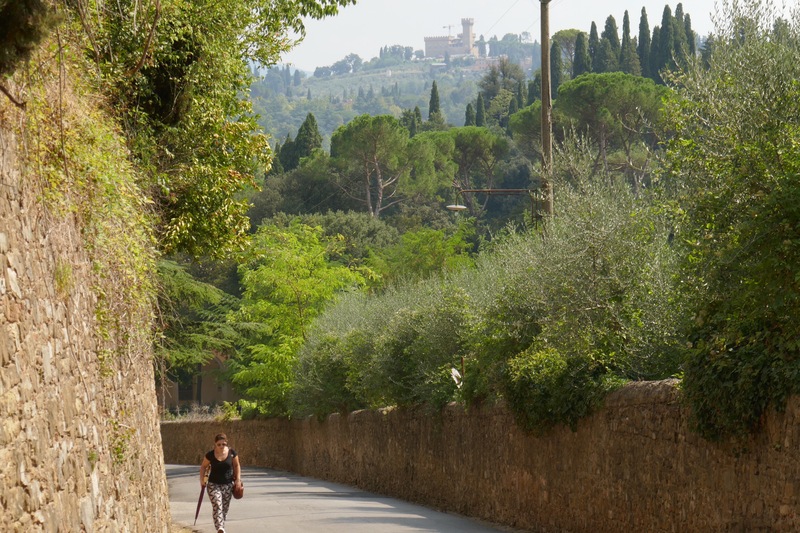 She was on a scooter, stopped beside a hilly section of the old city wall. 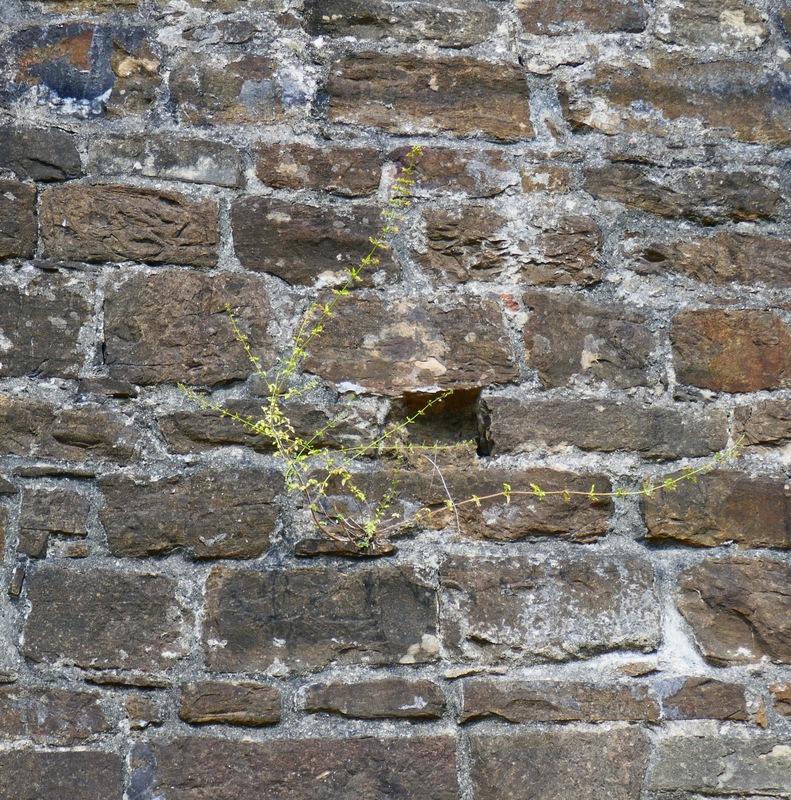 She showed me the herbs she’d found growing on the walls. Strong smell, weedy plants that I suggested might be marjoram. She said no and used a very different name. Her wild herbs are for cooking porcini, mushrooms. And she was so excited! Hoped to grow some of what she’d found. They are the most miserable little plants, like a wild thyme they grow in improbable barren areas. But I agree with her, their smell is wonderful. 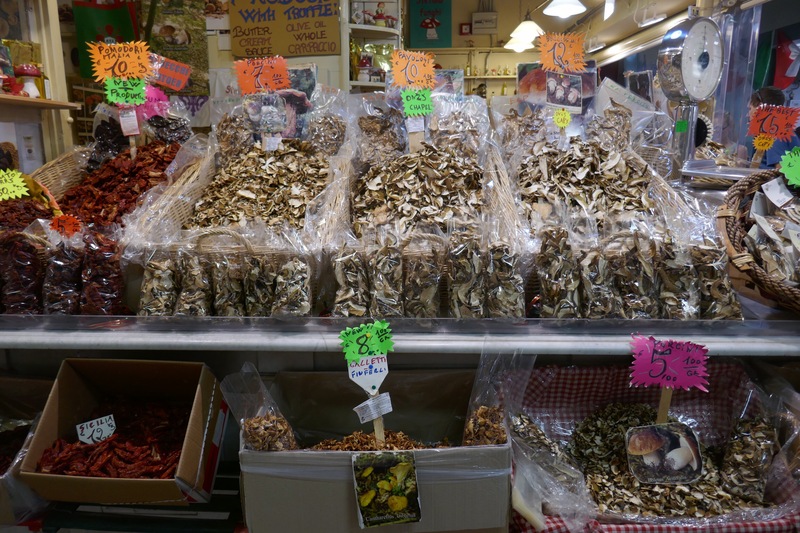 Thinking of mushrooms: the variety of dried types in the market makes me hesitate to call them ‘mushrooms’. ‘Porcini’ sounds better. So many types for sale, next to a small wheelbarrow of dried tomatoes. Over my time here I’ve walked quite a few km around the tourist and non tourist end bits. Downriver from the busy section, and over it, is another hill. Actually, once out of the centre, this place is mostly hilly. 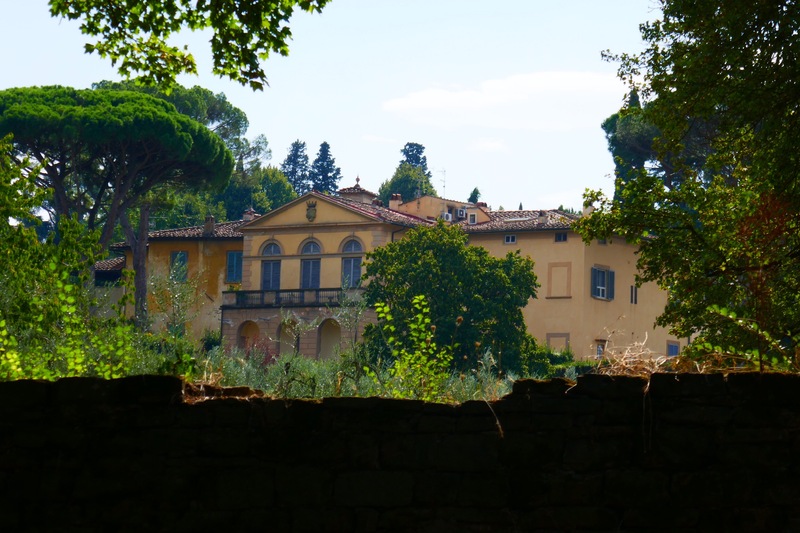 The size of some houses and their estates is astounding. 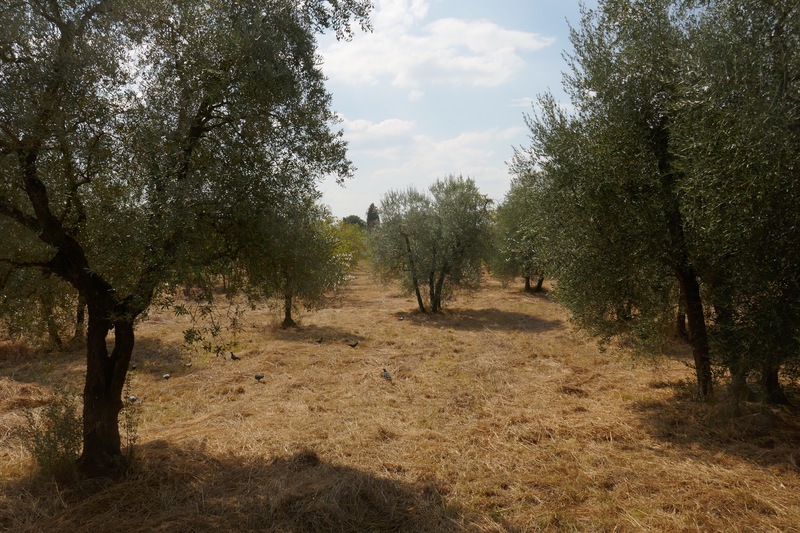 Some parcels of land may well be right out in the country they are so big, not just a few km out of central Florence. High stone fences surround most, not all. 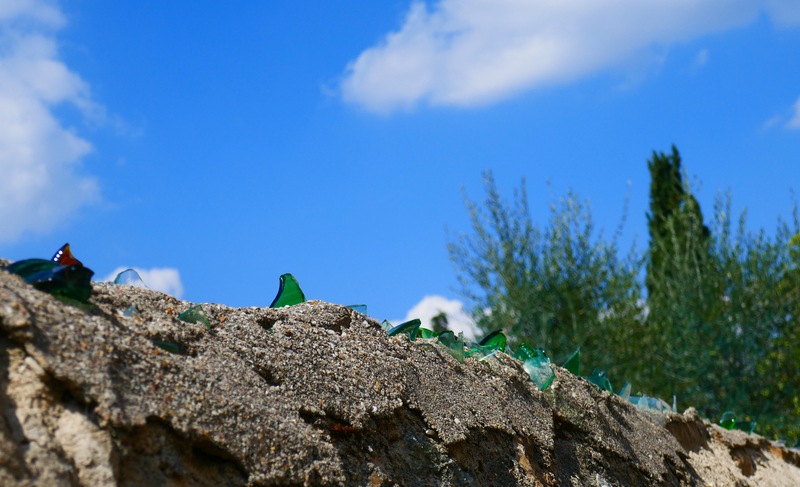 Some, not many, confirm precisely how unwelcome you are with their broken glass tops. The others use high gates and generally ensure you don’t know what they have in there. Many of the houses are now divided into apartments. Still, even they must be huge. Tightly curved narrow roads fit between the high stone fences. 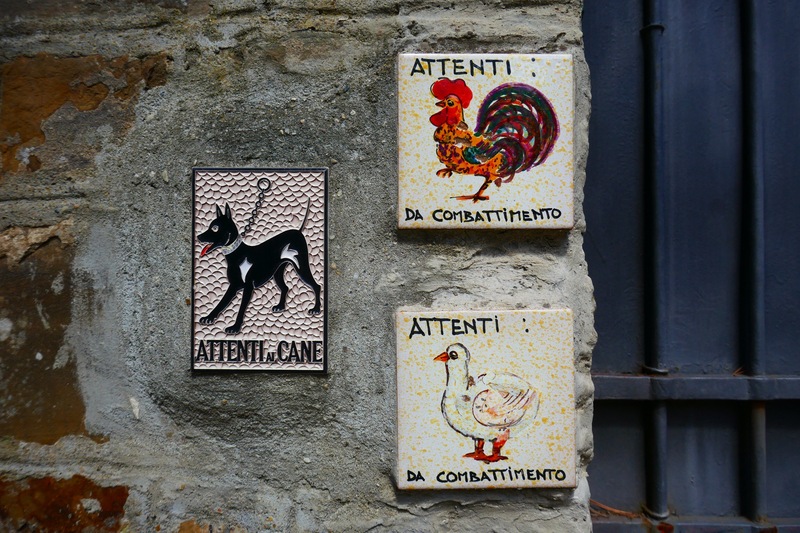 As well as dogs, one local warns about their rooster and their…Must be a goose, pigeons aren’t that way inclined, even with so many tourists about. Bloody hell! I’m proofing this entry and a huge slab has disappeared!! Don’t have the heart to rewrite it all just yet.